WHAT A GAME! Sensational to watch, especially for the neutrals among us. Even more so for the French as they saw their side thwart Argentina in an emphatic 4-3 victory in Kazan, to progress to the quarter finals. 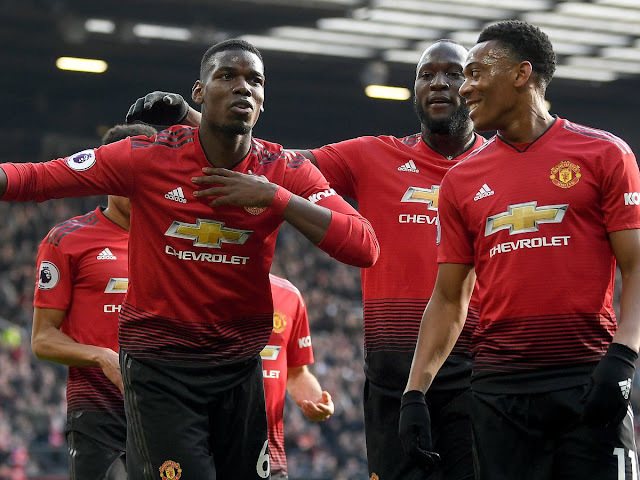 The complete opposite of what we expected from both sides, with goals at either end and the vibrance and flamboyance with which both sides attacked, this game was spectacular. Maybe Deschamps read the preview I uploaded for this fixture; the one to eleven is an exact carbon copy of the one stated in such article! 4-3-3: Lloris (GK), Hernandez (LB), Umtiti and Varane (CBs), Pavard (RB), Matuidi, Kanté and Pogba (CMs), Griezmann (RW), Mbappé (LW), Giroud (ST). Argentina brought out a fairly strong side. Armani was in goal. Tagliafico and Mercado were the full backs, and Rojo and Otamendi remained in central defence. Mascherano, Banega and Perez were the three in midfield. Up top were Di Maria, Messi and Pavon. This left the likes oh Agüero, Dybala and Higuain on the bench, unbelievable. The game was lively right from the off, with tackles flying everywhere and both sets of attackers darting forward. Then, Mbappé made an interception from deep within his own half, and just found a burst of energy to drive the ball into the French box, only to be brought down cynically by Marcos Rojo. The resulting penalty was dispatched calmly by Antoine Griezmann, who celebrated with the famous 'Take the L' celebration, as is usual with the Atleti forward to celebrate exuberantly. 41st minute, cue Angel Di Maria with an absolute screamer. Right on the edge of the D, against the run of play and out of nowhere, he curls one into the top right corner past a helpless Lloris. There's that spark we were waiting for. It was Di Maria too who ran the ball and tried to make things happen in the opening stages of the second half. A foul on him on the edge of the box led to a Messi shot taking a decisive flick off Gabriel Mercado, wrong footing the keeper and sending Sampaoli's boys starting the half withith their noses in front. Great game so far. The second half was much the same, even more entertainment. A hard fought Hernandez attack and cross bobbled across the pitch to sit up for Benjamin Pavard. The young Stuttgart full back cuts across the ball and strikes it as clean as you like, finessing it beautifully into the top left corner from range. How about that for your first international goal, eh! 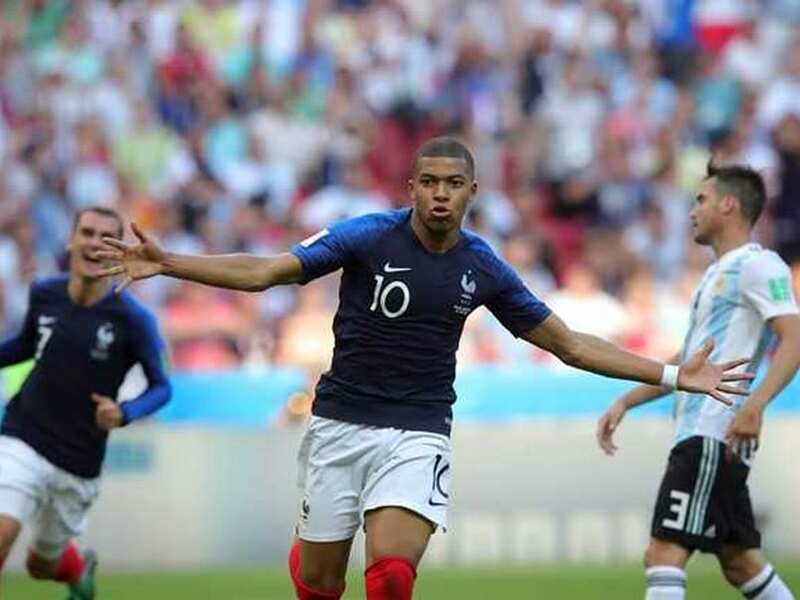 Les Bleus' attackers then really started to take the game to Argentina thereafter, with the exquisite youngster Kylian Mbappé involved yet again. He leaps onto a pinball situation in the penalty area, following a cross, takes a wonderful touch and sidefoots it under Armani. Four minutes later, its a dire straits 3v3 situation with the Argentine defenders scrambling, to be honest they looked stretched throughout the game, by the tempo of it. The ball is fed to Mbappé, for him to launch in France's fourth goal. From then on, Argentina really needed to push in the last 20 minutes if they were to try and get anything in this game. France meanwhile shut up shop and held strong for the duration. A 90+2 minute header from Agüero gave the boys in white and blue hope, making the score 4-3. And with the last kick of the game, even more scenes as Perez skied the ball from six yards out, spurning a golden opportunity. With that, France go through and heartbreak for Argentina. Now, to say that there were plenty of challenges, fouls and close battles would be an understatement. There were 36 fouls; Argentina picked up six yellow cards, and the French side with half of that. A handful of players for both sides were already on yellows going into the game. It was a close match: 40:60 possession, around 9 shots each and 4 on target for both. These match stats are obsolete now, as it's France cruising by and Argentina taking the plane home. There's talk about this being Messi's last World Cup or even international commitment, so could it be that the magician bows out with yet another disappointing international endeavour to his name? Hugo Lloris (6) Did alright, not the best but not bad at all. Conceding three goals is not something a top quality keeper wants to do every game. Take a bow, Benjamin Pavard. Benjamin Pavard (8.5) Still cannot believe this boy is only 22! Absolutely flowing with confidence and he's a prospective star player in at right back. His finish was sublime and I can't fault his commitment up and down the flank. Samuel Umtiti (6) Not too impacting on the game, didn't look half bad though in defence. Raphael Varane (6) Again, can't really pick out a highlight. Held the Argentines well. Lucas Hernandez (7.5) Nimble as ever on this left hand side, whipped the ball in well for Pavard's finish and threatened throughout. Was alright in tracking back. N'Golo Kanté (7) Run N'Golo run! A workhorse for Les Bleus. Making his presence known all over the pitch. Blaise Matuidi (6.5) Solid. Strung some really good passes out. Paul Pogba (7) Power, strength and agility. Great with the ball at his feet and always looking forward. Kylian Mbappé (10) Phenomenal performance from the 19 year old. Driving 70+ yards to earn a penalty early on, then bagging the two winning goals to send his side through. He's a stunner. Olivier Giroud (6) Ghosted. Not as influential as he was before. Got some good attacks going, though. Antoine Griezmann (7.5) Slotted the penalty away in some fashion. Made good use of his pace, looking sharp down that right wing. Nabil Fekir (6) Standard last 10 minutes. Corentin Tolisso (6) Like for like switch, for Matuidi. Continued the job. Franco Armani (5.5) Stood up to the challenge in fairness, he really did try. Resisted the pressure well and looked decent at times. But he should be doing better with Mbappé's first shot if you ask me. Looked very shaky in parts. Gabriel Mercado (7.5) Good, good player. Consistent, works hard and gets into good areas. Flicked on a real poachers goal to give his side the lead temporarily. Marcos Rojo (5) Scrappy this time round. Careless in tracking back and sloppy to give away the penalty against Mbappé. Nicolas Otamendi (5) The Premier League duo are really hit and miss here. They're just on and of and pick and choose when they want to perform really. We know they can perform, but when Argentina needed them the most, there was disappointment from them. nothing but support his forwards and help his defenders out too. Great with the ball at his feet, a promising left back. Javier Mascherano (4.5) He's past it I'm afraid. Fearless, yet reckless. Can't keep up with the tempo of the modern game like he once could. 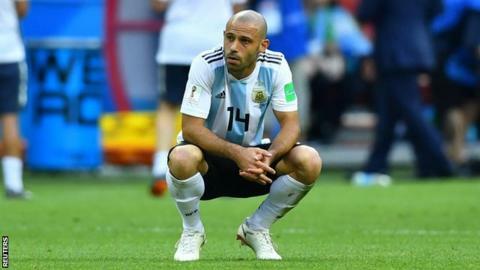 After the game he even confirmed his retirement from the international format, leaving as the most capped Argentina player ever. Ever Banega (6.5) Played pretty well in the game. His long balls were superb, coupled with his vision and forward playing mindset, he's done alright when he's played. Enzo Perez (5.5) No highlights for him. Angel Di Maria (8) Yes! That's what we like to see. Pearler of a goal to restore things at 1-1, always looked a threat down the flank, and used his skills exceptionally. Lionel Messi (7.5) Struggled in the false nine position. Often lacked the service he required and had to take the ball up from deep. Still gave some impetus on the ball, as ever. Let down by his defence and his team really. Christian Pavon (7) Did pretty well. Can't complain. Sergio Agüero (7) Last half hour he did well in an attack minded switch. Scored a late consolation. Fazio (6) OK really for the second half. Maximiliano Meza (5) A really ineffective player, does nothing doesn't give a new impetus to the team.